Replies: 126 (Who? ), Viewed: 46401 times. 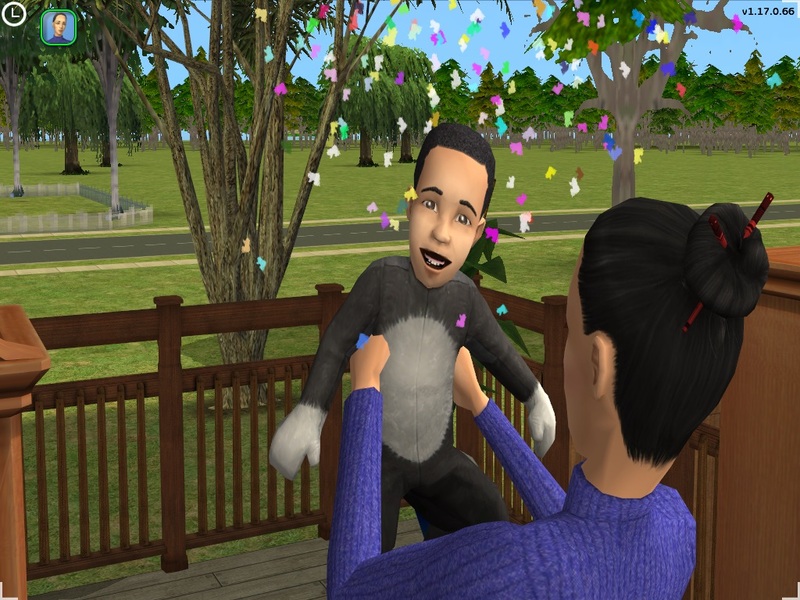 Play the families you love one more time however this time with a twist! The Challenge is to keep all the original last names intact throughout 10 generations. If at anytime you don't have a heir with one of the last names above you have lost the challenge. No Cheats that would speed up aging. 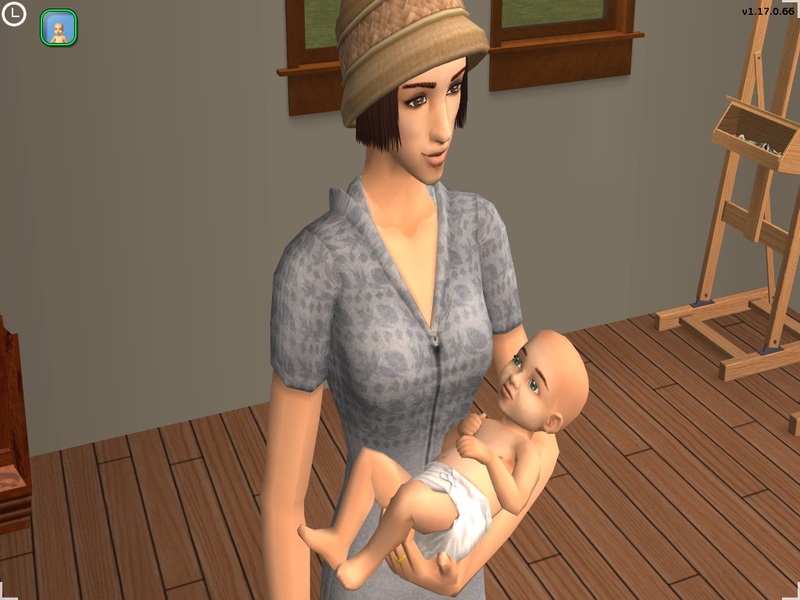 Example : Coral Oldie [1st] | Mary-Sue Pleasant [2nd] | Angela Pleasant [3th] | Angela's baby [4th] That is 4 generations. 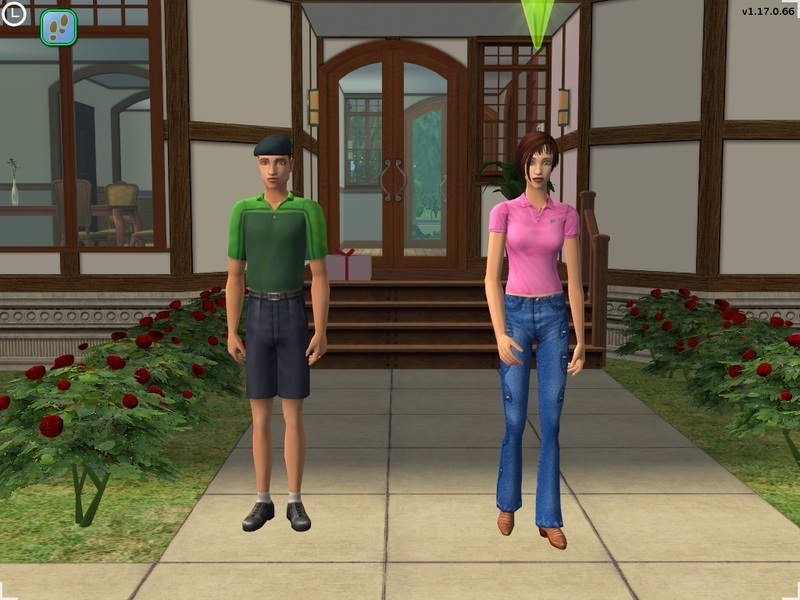 +20pts for every marriage uniting two sims with the last names above. 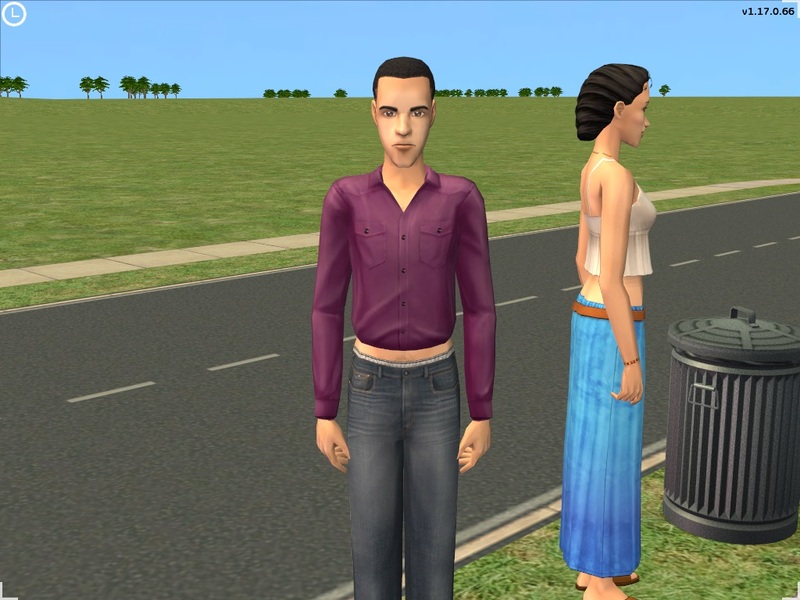 -20pts for every townie married. +20pts for having a family feud or two families feuding against each other over something small or big. +250pts having the blood lines so intertwined that at the end that each sim heir can say they have each of the last names heritage. 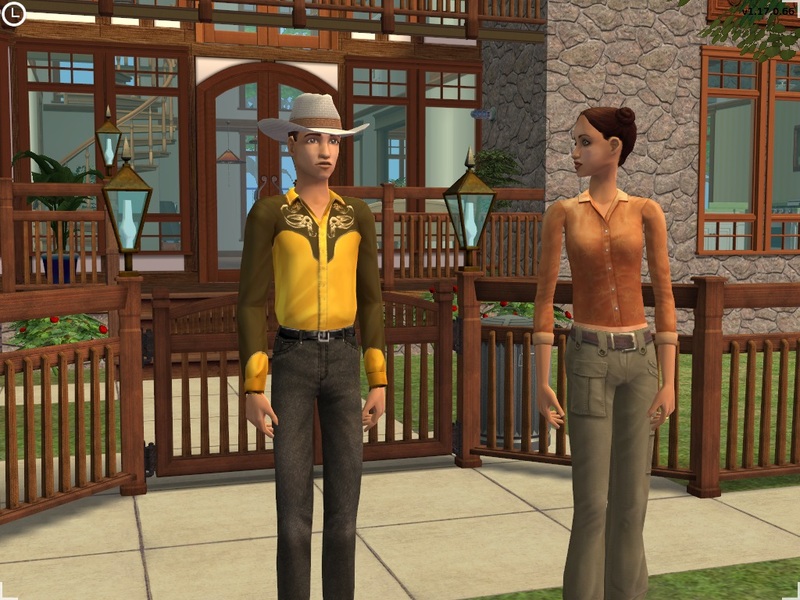 +50pts if you have sims matched up differently then you ever have played them before. 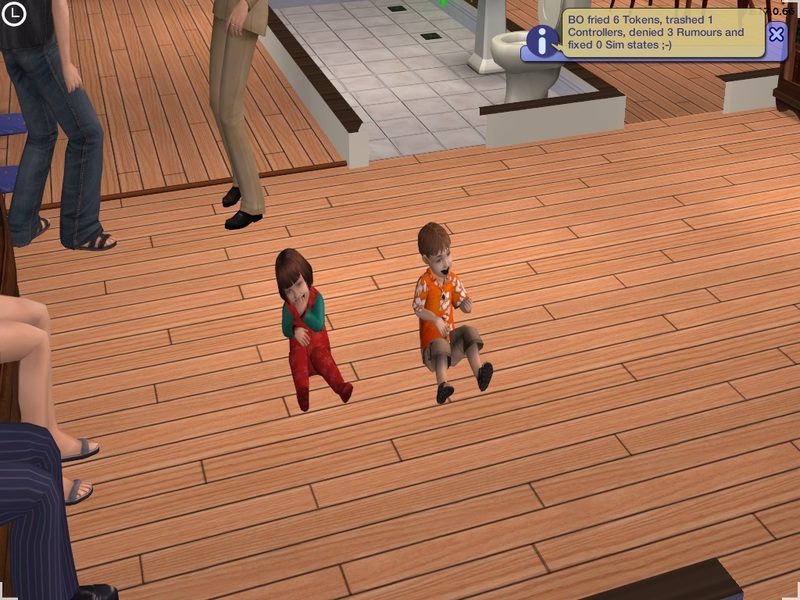 +10pts every time you extend a sims life so they can see their great grandchildren's kids. +50pts have at least one birthday party for each offspring. So either when they turn toddler, child, teen, adult or senior. Just once. +50pts map out a life for the sim. Friends? Hobbies? Interests? Values? Passion? Who they are, what they stand for, what they aspire to.. & stick to IT! +150pts make clubs / cliches / networks / guilds and decide what sims fit what grouping. Make community lots for each or designate one as the hangout. do they wear a certain type of clothes? Do they work in the same career field? Do they have the same interests? What brings them together? do the creatives live there? The career driven? The families? The younger crowd? Price the lots / houses accordingly. Make a skid row up to Mansions. #4 6th Sep 2016 at 4:01 PM Last edited by marka93 : 8th Sep 2016 at 2:44 PM. Victor and Gretle Goth move in day. Pic 1 & 2. 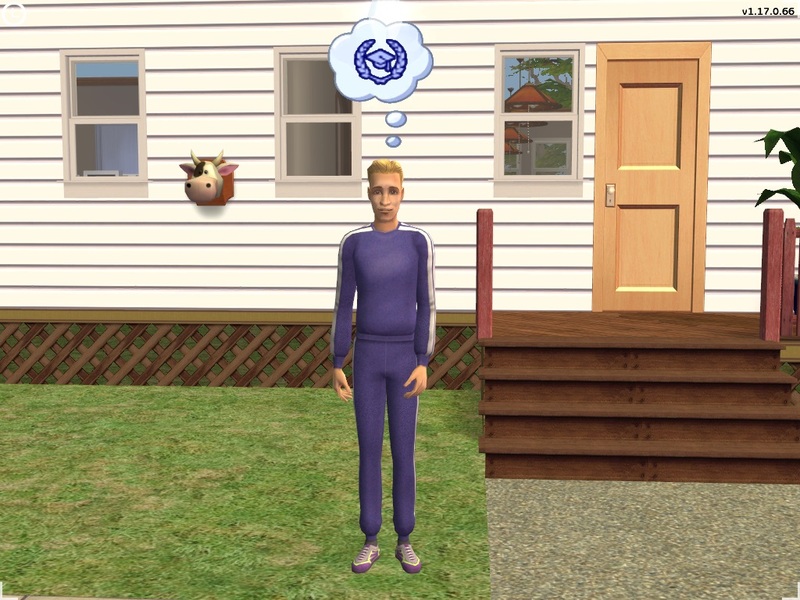 Gunther Goth born in game. Pic 3. During this challenge I will also try to keep all the secondary family names alive to. IE: Crumplebottom, Newbie and Simovitch and so on . #5 6th Sep 2016 at 11:22 PM Last edited by marka93 : 11th Sep 2016 at 10:53 PM. Simon and Prudence Crumplebottom move in day. 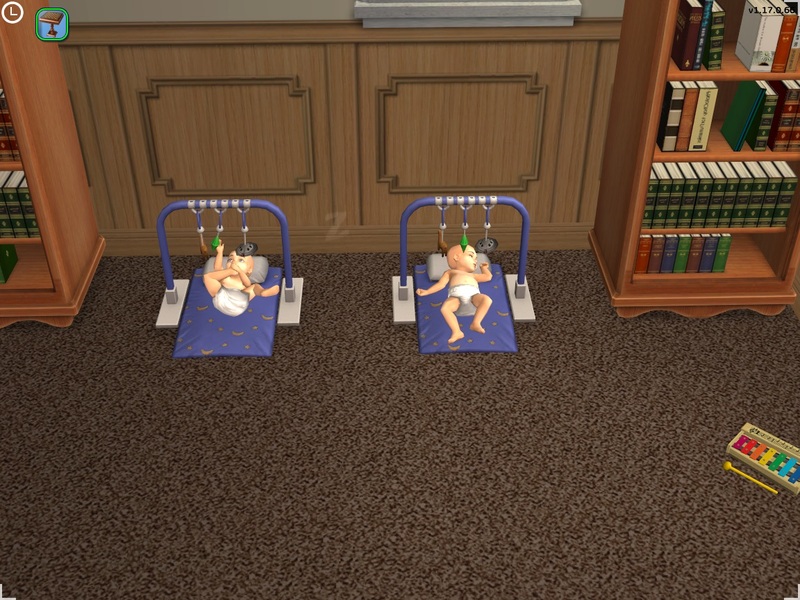 Well look at that twins again, this is the 3rd time I started this challenge and have gotten twins on the first try. Will add pics when there born. 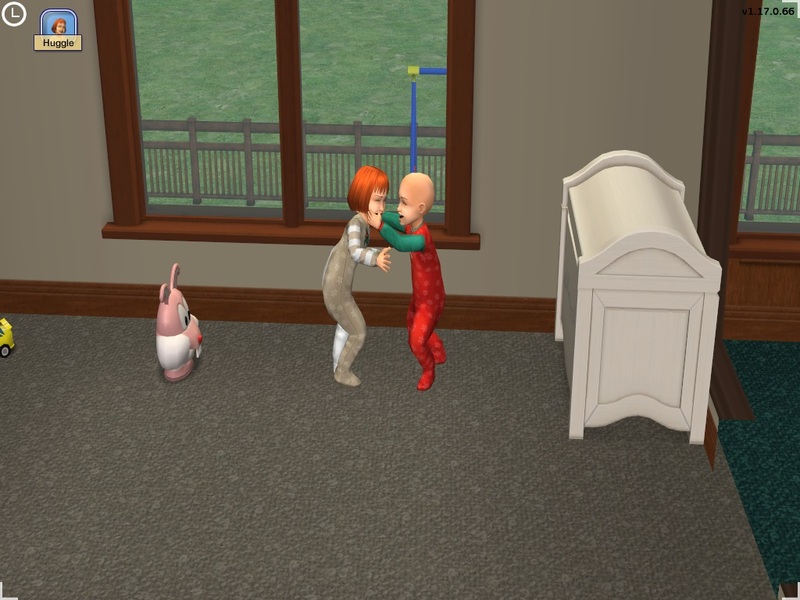 This is the first time I got twins girls, normally I get 1 boy and 1 girl so the one on the left is Cornelia and the one or the right is Agnes. Robert Crumplebottom, male to carry the family name foward. 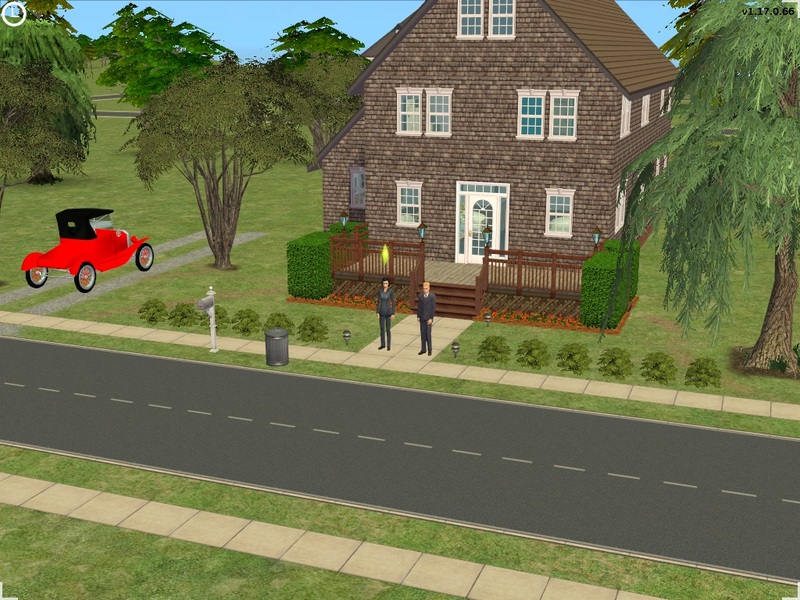 Prudence got a big bonus and was able to pay off the loan on the house and buy a new car with the rest. Last pic is Robert as a child. #6 7th Sep 2016 at 9:17 PM Last edited by marka93 : 11th Sep 2016 at 1:27 AM. Move in day for both Pleasants and Danders with Danders moving out and into the Pleasants house for better control of time. Add a pic of Jeff and Diane doing the huggle dance. Adding Martin Danders to keep the family name going. 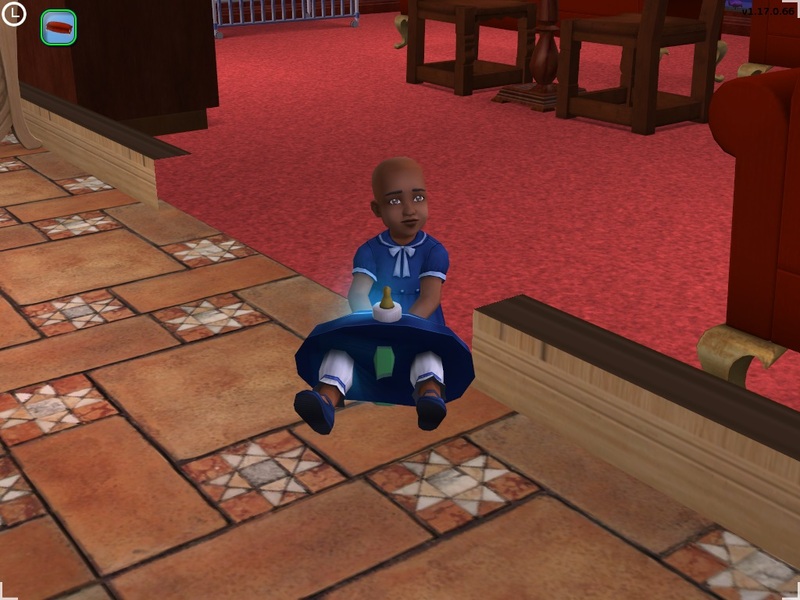 Martin toddler years. #7 8th Sep 2016 at 2:37 AM Last edited by marka93 : 10th Jun 2017 at 3:15 PM. Added a pic of Brad and Tiffany as toddlers and a baby pic of Brian Marsh and he will carry the family name forward. #8 8th Sep 2016 at 5:25 AM Last edited by Satrina : 8th Sep 2016 at 5:37 AM. *squeals I am so excited that this challenge was approved and that to my surprise Marka93 has already started! So excited. Marka93 : indeed! I'm almost tempted to start over... A hood with no townies though is awesome but in later generations I think everyone will become family through marriage that your going to need a townie or two. Very cool hood though playing the ancestory! I'm not familiar with some of the names. Danders? Marsh? Could you tell us about the family tree? Carooh : you should join in for sure! I know my attention span is bad too. I like to create new things all the time. But just imagine all the dramatic story telling pleasantview would provide. Daniel broke up with Kaylynn, rejuvenating their marriage, had twins [Morgan & Levi], He left his job as the coach to be a stay at home dad. Dina owns the fine dining restaurant. Mortimer is young again. He created the [Elixir of Life] in search for staying alive for Bella. Darren took the last name Langarek. Brandi had an affair with John Burb. She was lonely and he was too since he was going through empty nest with Lucy gone since he was a stay at home dad. They both met at church. Jennifer, John's wife is the Pastor. It wasn't until Brandi became pregnant that they realized they couldn't do this anymore and received help from the deacons of the church for counselling. 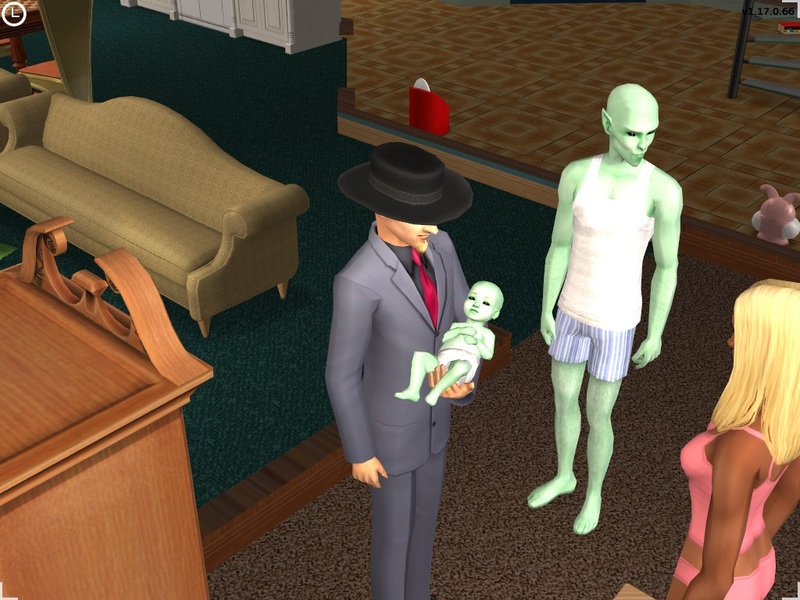 It was agreed that since Brandi didn't have the money or the ability to stay at home with the baby, that John & Jennifer would raise the baby and Jennifer adopt. 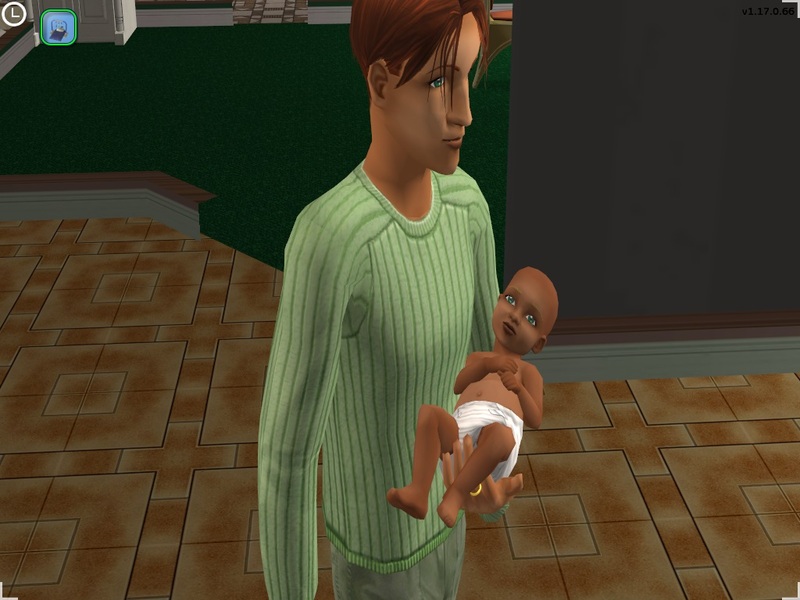 Jennifer found it hard but she forgave him, embraced the baby and they are happy. Brandi lost respect with Dustin when he found out but Beau and Riley seemed more understanding. 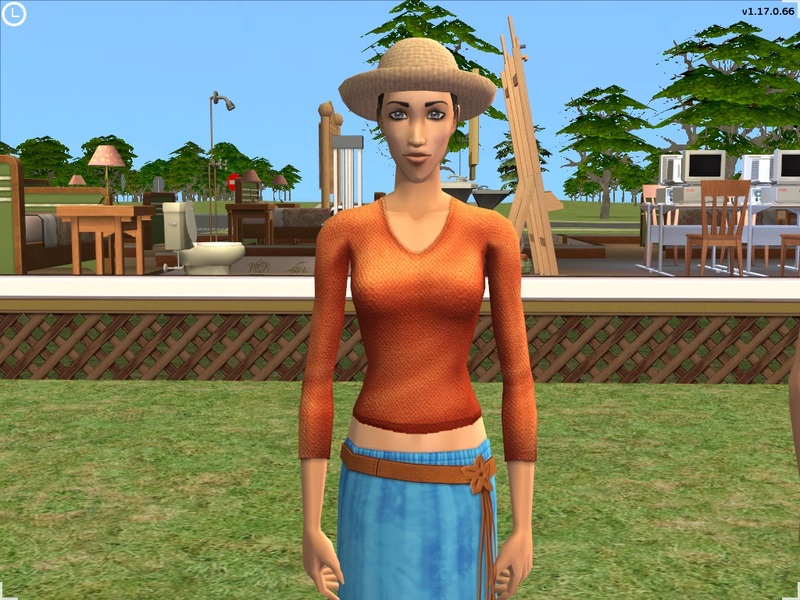 After awhile she met a townie named Benjamin and got married. phoned her up and moved her back to pleasantview. Strangely, she is still young. and last... well this is a bit hard to explain and heck you may not want to read. [adult] I'm a bit wacky sometimes going far fetched. The big love triangle, Nina & Don | Don & Cassandra. 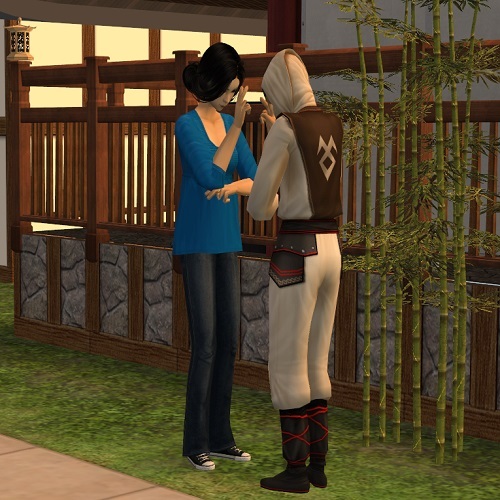 I believe that Nina understands Don because she is a romance sim herself. However, she did break it off with him but they had trysts resulting in unplanned parenthood. 3 to be exact. 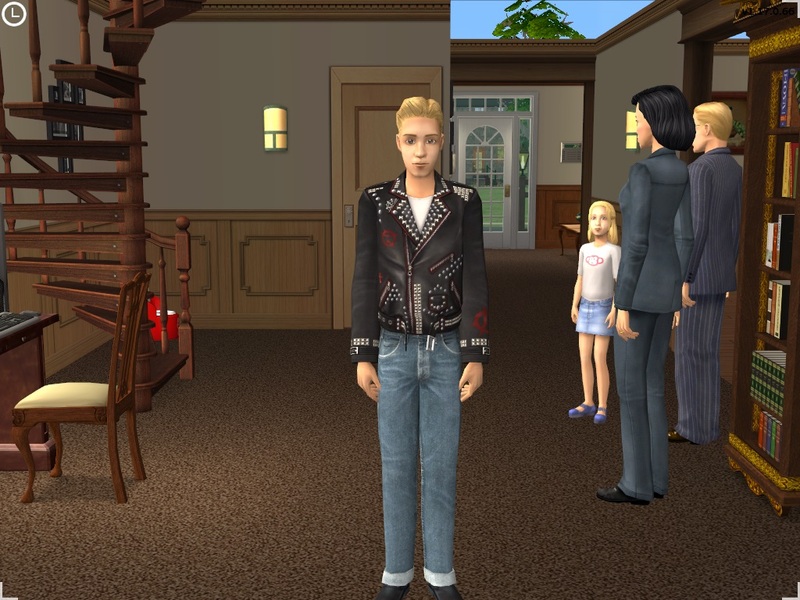 He married Cassandra and moved into the Goth Mansion. He tried to be true, but couldn't. He felt the weight of Mortimer's glare and the expectations of Cassandra for a family and love. He felt boxed in and rebelled. He used Mortimer's money and bought a nightclub. He told Cassandra he was working hard to provide a future for their family which they did have 2 kids, but he mostly used it as a way to pick up chicks. 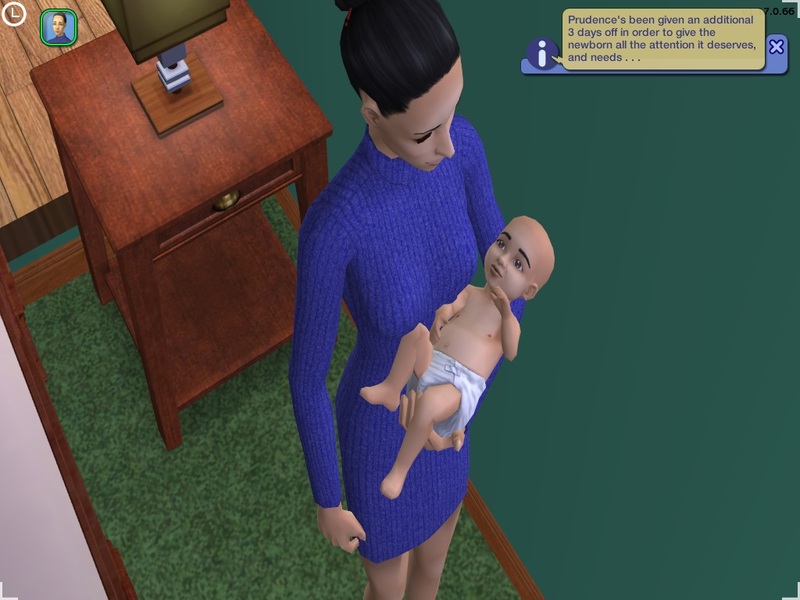 She hardly saw him, she was a stay at home mom for the early years. He was busy. She was so obsessed with loving him that it was stifling him. Don does love Cassandra but not in a deeply romantic way. However, Nina was always the one he would go to. So he left Cassandra, divorced her, they had their day in court, child support figured out, 50 / 50 divided and he moved in with Nina. Now Nina had taken on escorting shall we say to pay the bills and support her 3 kids. 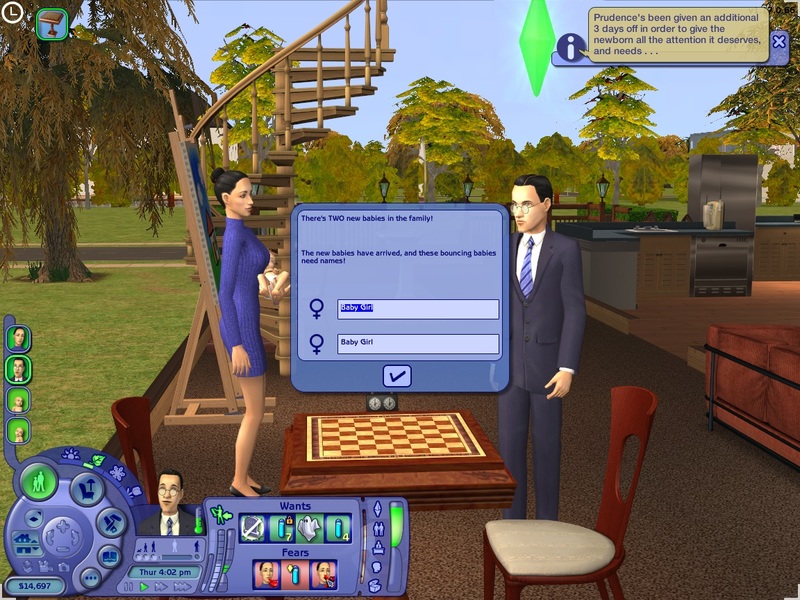 So Don and her had an open arrangement which worked best for both romantic sims. 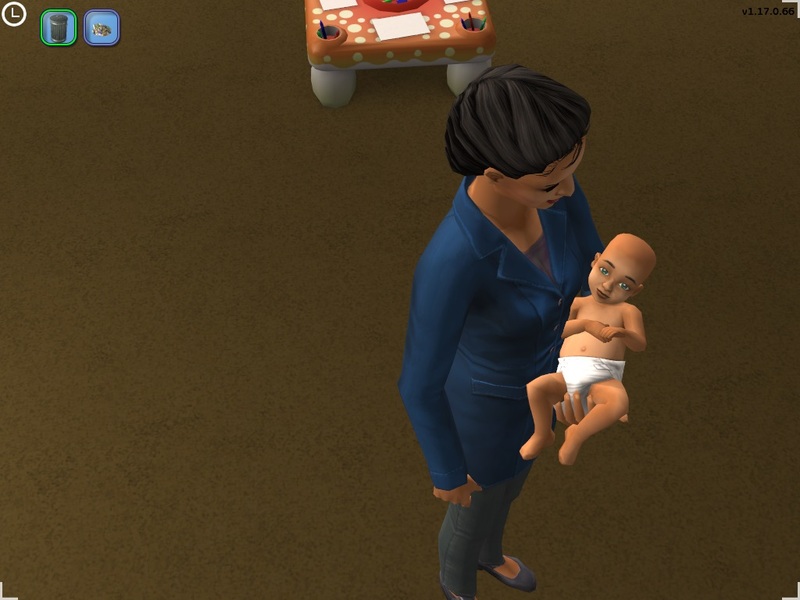 However, after awhile Nina got older and decided to stop her nightly visits. Her kids were not so young anymore and they would put two and two together. So Don and her settled into family life still with romance on the side. Cassandra wouldn't let go of Don. Mortimer had forbid her to see him but she just knew that she had to be with Don. Additional info : disclaimer maybe a weird twist. Daniel was with Kaylynn because she understood him. He didn't want to have to act like the macho athlete guy, the stereotype of a sports coach when he felt more feminine. However, once he broke it off with Kaylynn he told Mary-Sue everything. She accepted his feelings and after that he wore longer hair and makeup. [If I could find men's women clothes he would wear them too] Herb, Mary-Sue's dad and the deacon of the church was already upset about his affair and then with Daniel's transformation he was quite against Daniel and wouldn't look his way. Daniel made a great stay at home dad. 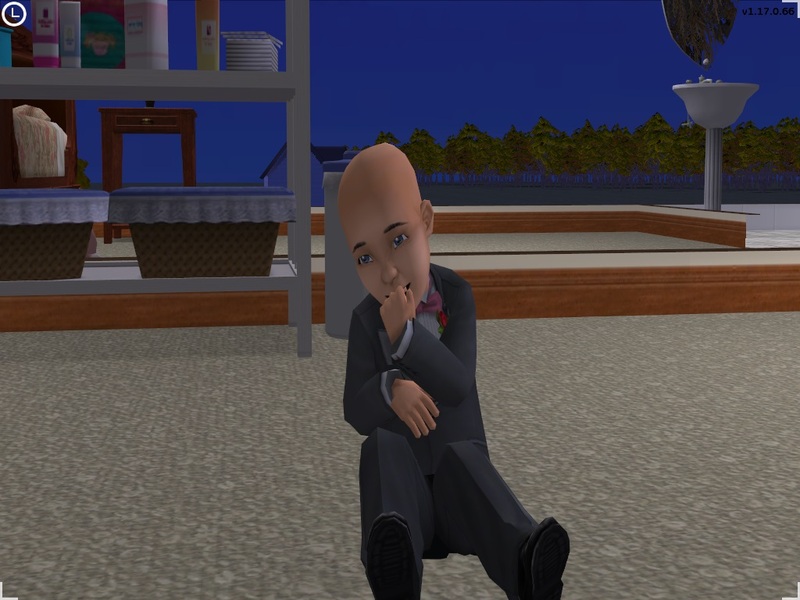 He was very emotional when the twins moved off to university. #9 8th Sep 2016 at 2:42 PM Last edited by marka93 : 8th Sep 2016 at 5:47 PM. @Satrina I will do you one better and link each family to there Wikia page that includes all family members with a family tree pic. 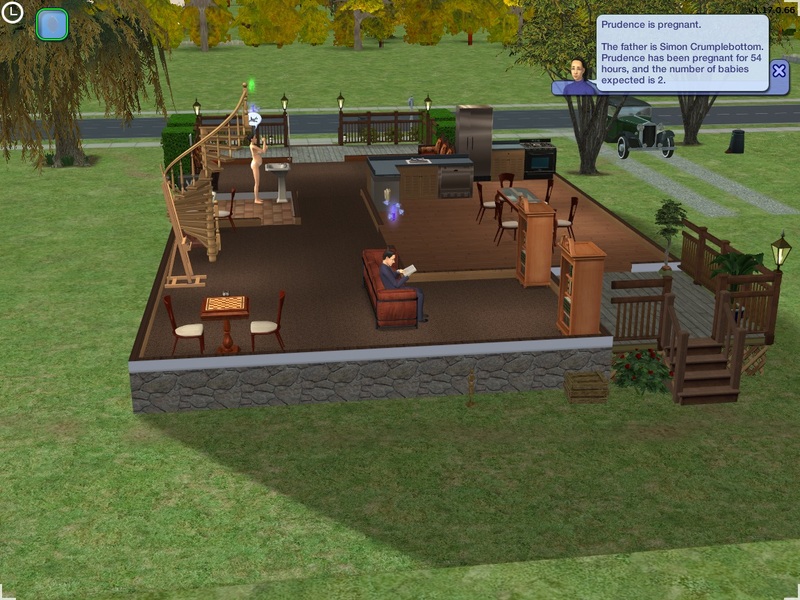 Playing the org Pleasantview you can see them in the family trees there to but the info only comes from the Wikia. Pleasantview Wikia page. 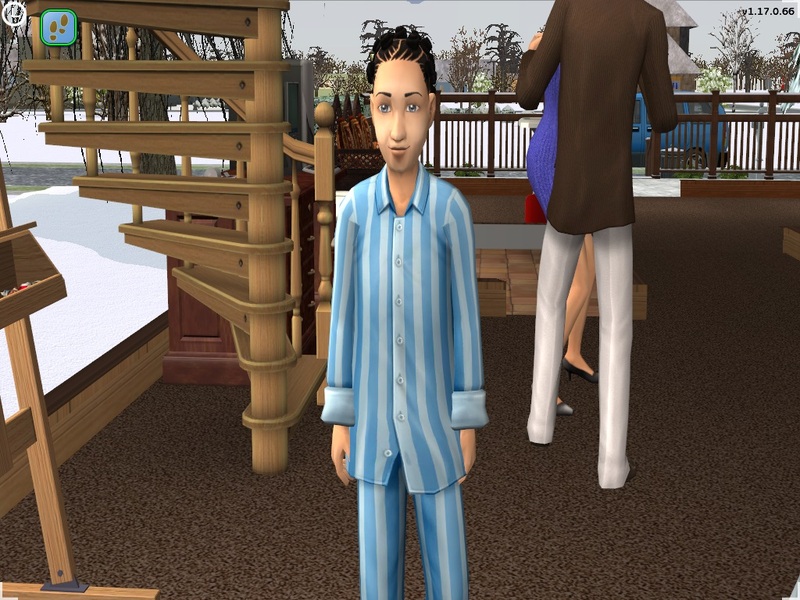 http://sims.wikia.com/wiki/Pleasantview it is best viewed with an add blocker though. 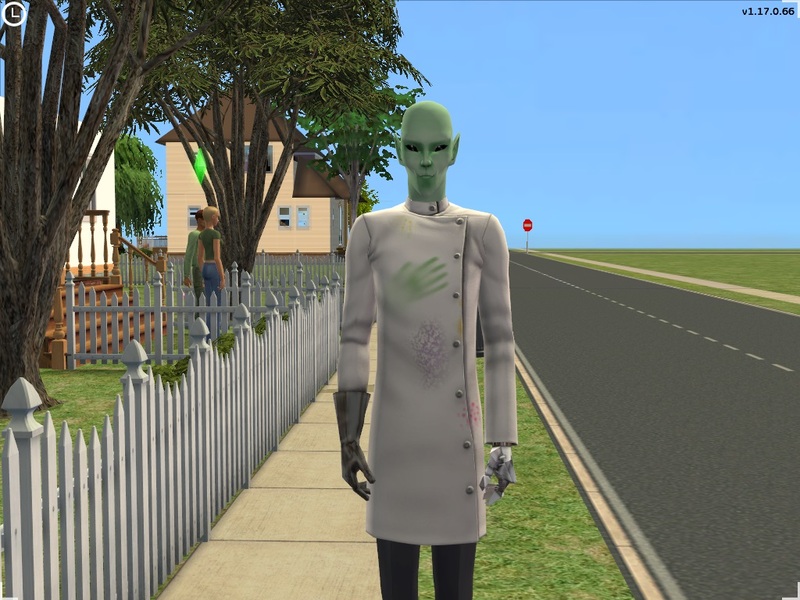 As for townies I have attached Downtown to have some townies for the later years plus I will be able to bring back the Tricous' with the 6 teens that live there. With the Tricou's this will be a 3 way challange for me with my "The Beginning of Pleasantview" challenge, this challenge here to go 10 gens and the Tricou's challenge. Added more pics to the Burb's post. 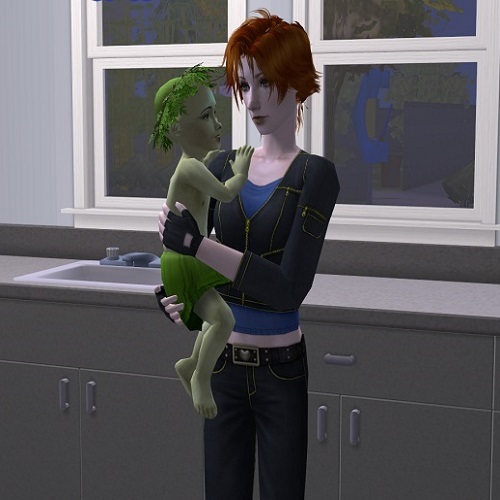 ADD: Here is a pic of Tiffany Marsh and Brad Burb after growing up to toddlers . #10 8th Sep 2016 at 7:44 PM Last edited by marka93 : 10th Sep 2016 at 12:41 AM. Here is the move in pic for the Caliente Family. 1st pic is Nestor and Dulcinea Caliente. 2nd pic is Tariq and Benazir Al Mahmoud. 3rd pic is Pollination Technician 7. Adding the pics of the babies. 4th pic is Tango Caliente held by Tariq Al Mahmoud. 5th pic is Nighat Al Mahmoud held by Dulcinea Caliente. 6th pic is Flamenco Caliente held by Nestor Caliente with his other daddy standing near by Pollination Technician 7. 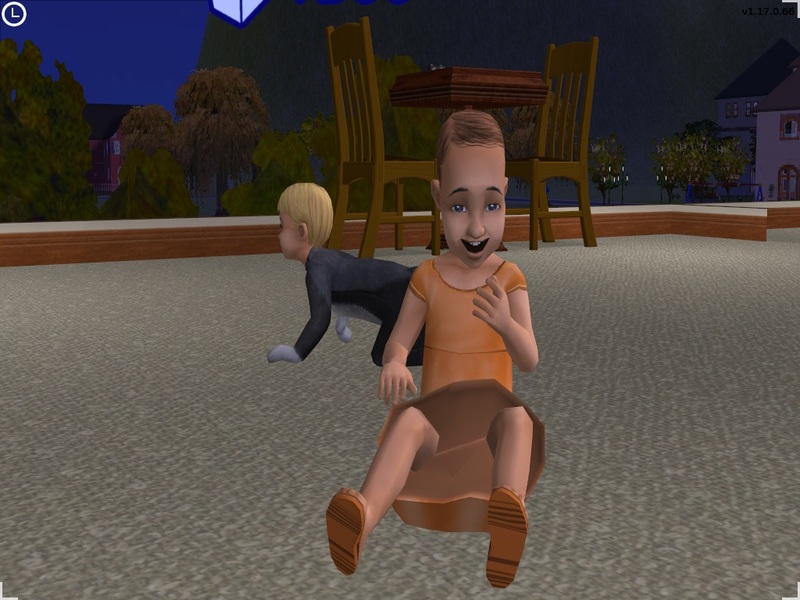 After Flamenco becomes of toddler I will use an in-game skintone changer and set his skintone to what it was in Pleasantview. 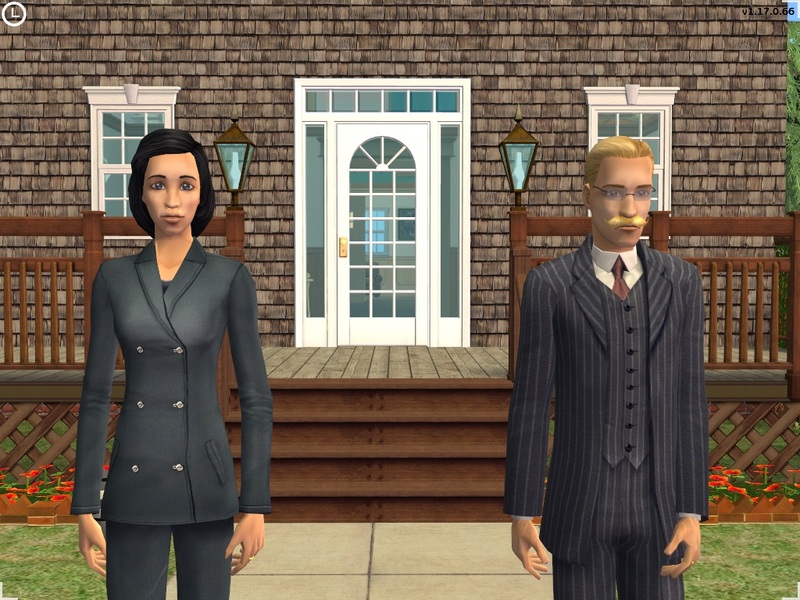 I played this household in the wrong time frame so we will not see them again until Mortimer Goth has been born and made it to his teen years. #11 9th Sep 2016 at 3:38 PM Last edited by marka93 : 10th Sep 2016 at 12:42 AM. Move in day for Dalmar and Dacia Dreamer and Sef and Lina Darong. 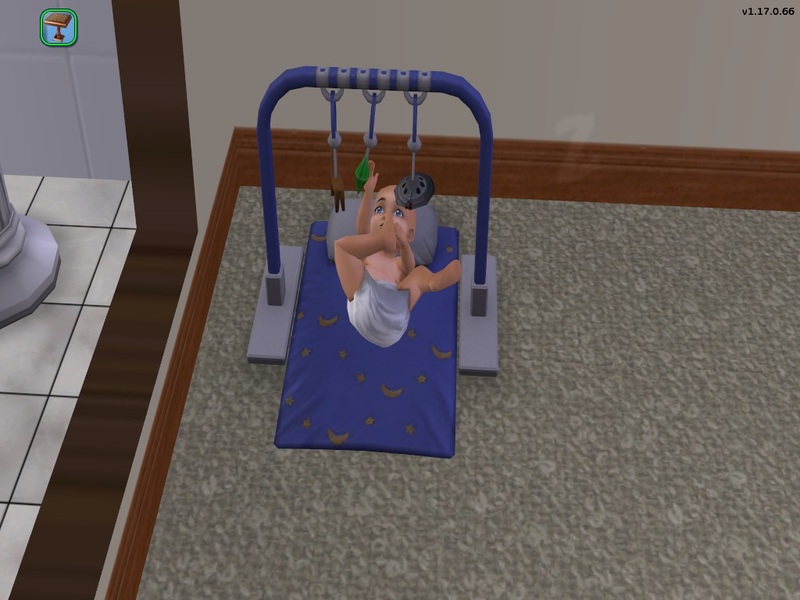 Adding pics of the babies. Adding again pics of them as toddlers, aren't they so cute. #12 9th Sep 2016 at 7:39 PM Last edited by marka93 : 10th Sep 2016 at 12:42 AM. 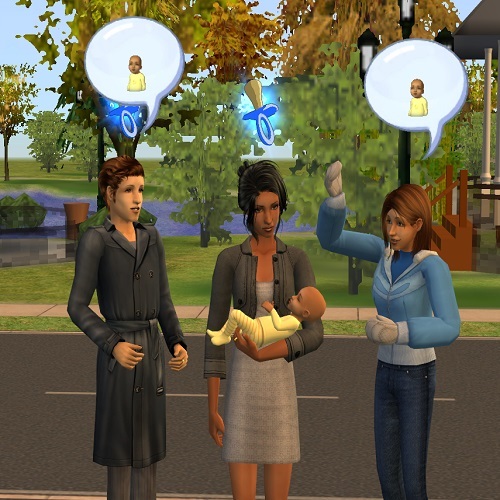 We have Carmelo and Mama Lothario in the 1st pic and Primo and Isabella Fiorello in the 2nd pic. 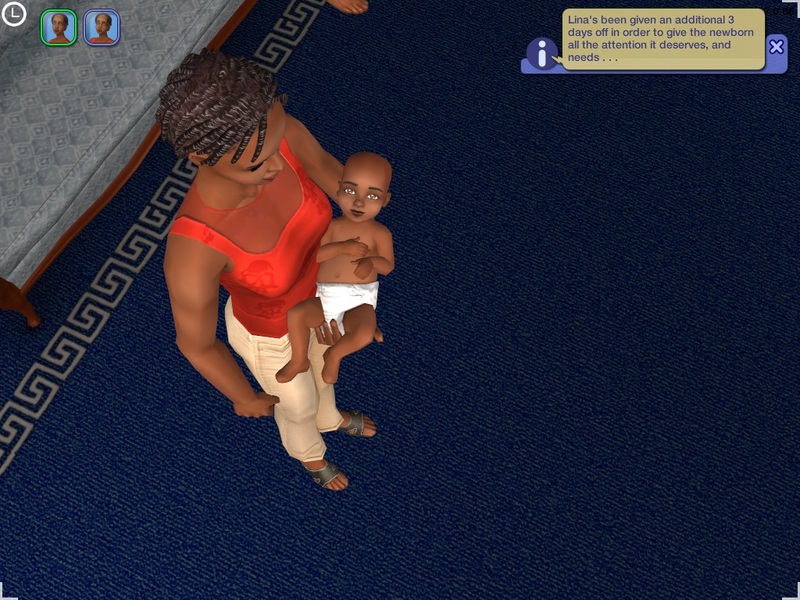 1 pic Carmelo and Mama Lothario. 2 pic Primo and Isabella Fiorello. 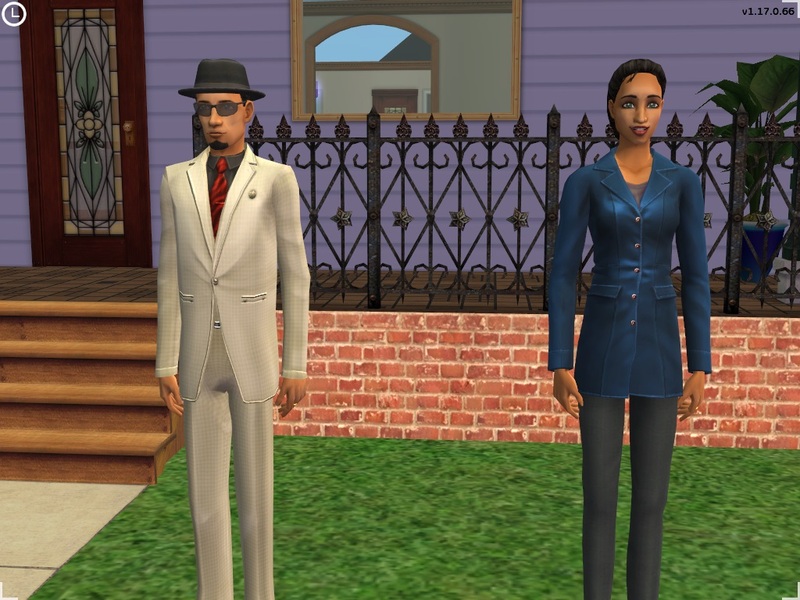 Adding pics of Don Lothario parents. #13 10th Sep 2016 at 12:46 AM Last edited by marka93 : 10th Sep 2016 at 3:30 AM. Bod Sr. and Mags Newbie with Vadim and Fatima Simovitch. 1st pic Bod Sr. and Mags Newbie. 2nd pic Vadim and Fatima Simovitch. 3rd pic show twins and I hope I get a boy and a girl so the Simovitch line will go on. Danny has blond hair and Betty has black hair. 6th pic Bod Newbie as a toddler. 7th pic Betty Simovitch as a toddler. 8th pic Danny Simovitch as a toddler. #14 10th Sep 2016 at 3:12 PM Last edited by marka93 : 12th Sep 2016 at 7:09 PM. 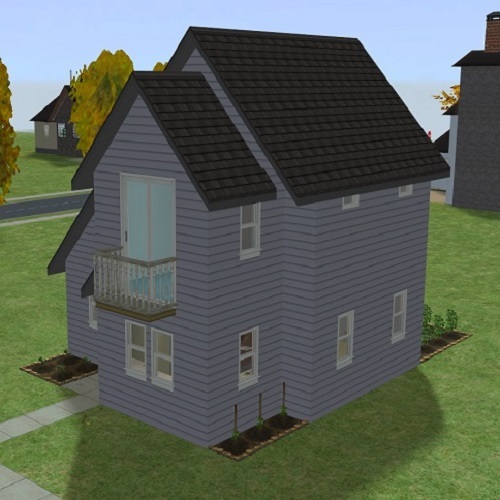 Not only am I using Maxis made but deleted sims that I fixed and brought back to life I am also using all Maxis houses from both Sims 1 and Sims 2. 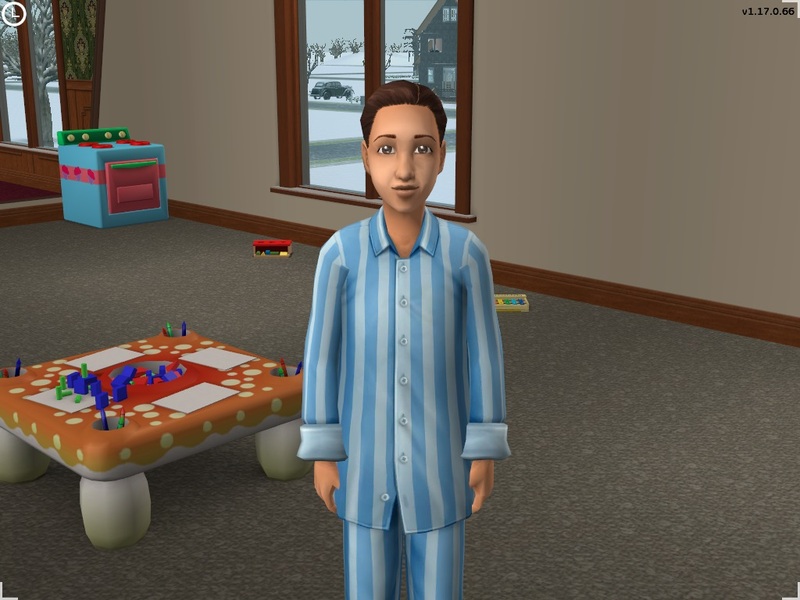 Bod and Betty Newbie will also start out in there Sims 1 house. 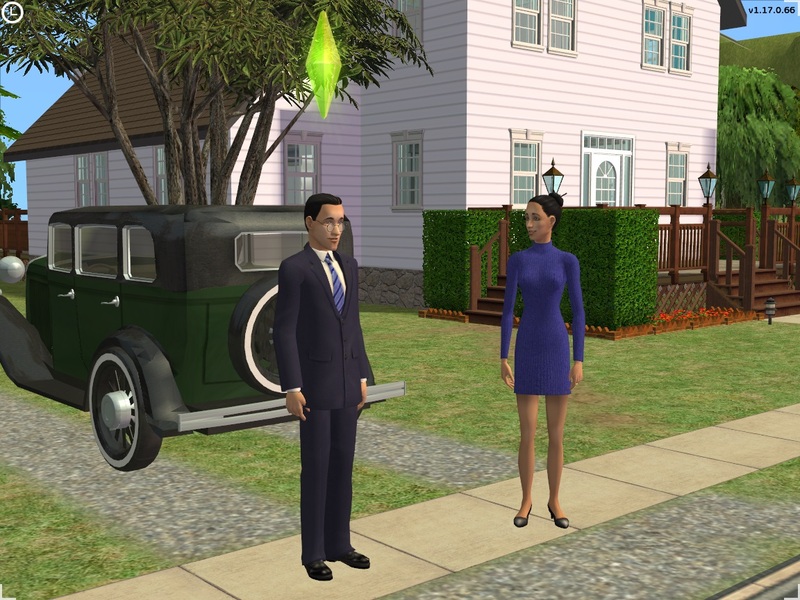 Michael Bachelor after collage will start out in that single bedroom house for Sims 1, the one that was in front of Bob and Betty's house in Sims 1. Here is a pic of the hood layout for now and it might change over time. Adding a updated hood pic on 9/12/2016. #15 10th Sep 2016 at 5:20 PM Last edited by marka93 : 13th Sep 2016 at 4:47 AM. 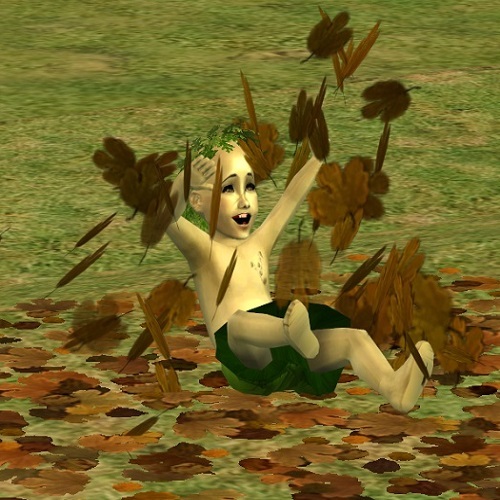 I will use this post for all 2nd generation child pictures. 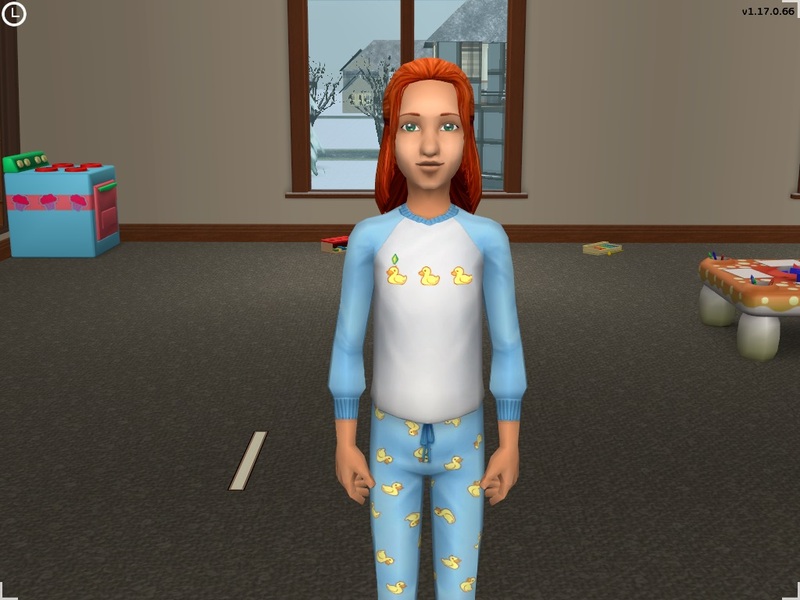 When they become teenagers I will do make overs to match how EA/Maxis has them. I have decided to leave them as they are until they grow up to adulthood. Starting with Gunther and Firda Goth. Adding in Agnes and Cornelia Crumplebottom. 6th pic is Diane Danders. 9th pic is Tiffany Marsh. At the start I had a bit of trouble figuring out what to do with the Oldies: While they already have grandchildren at the start of the game there is no heir to the family name. And with them being elders that's not very likely to change. I could have changed the last name of one of their offspring (e.g. if Mary Sue would find out about Daniel's affair she could divorce him and change her last name back to her maiden name) but that felt too cheaty. Of course there's always adoption but even if they'd adopt a child (as opposed to a toddler or baby) they'd probably both be dead before the child reaches adulthood. 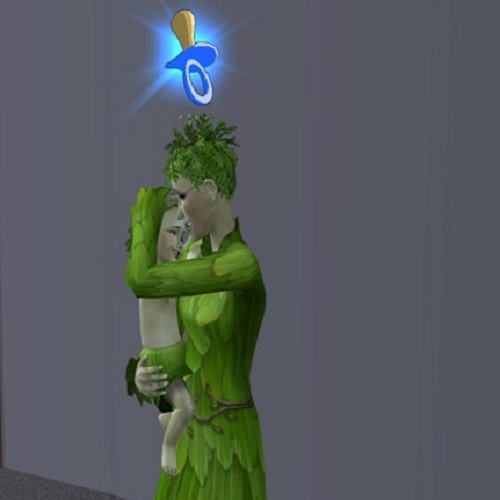 If after the last picture you were thinking "PlantSim" you were correct. Fun fact: It was Herb who did most of the work in the garden (his OTH is nature) but Coral who was turned. 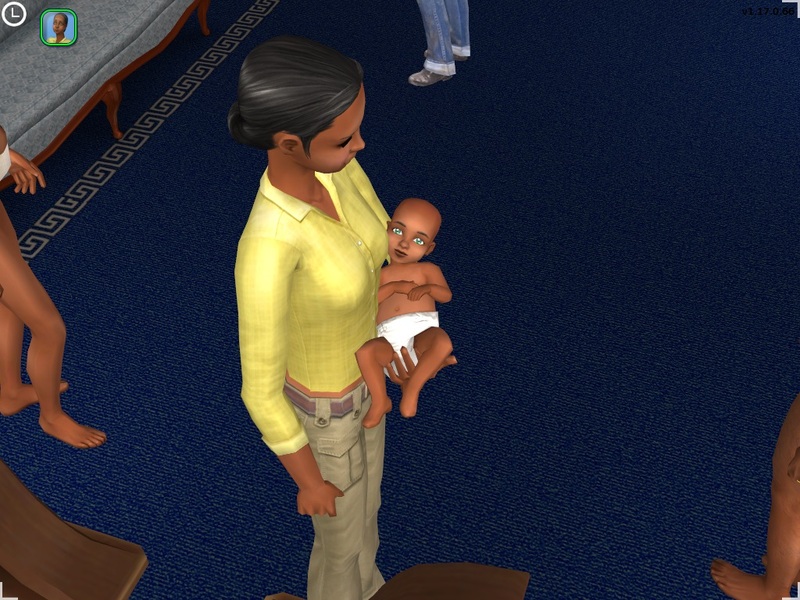 And in true Family-Sims-fashion Coral immediately rolled the want to spawn a plant baby. Bonus Pic: Benjamin and his niece Lilith. #17 11th Sep 2016 at 5:49 PM Last edited by marka93 : 13th Sep 2016 at 8:03 PM. 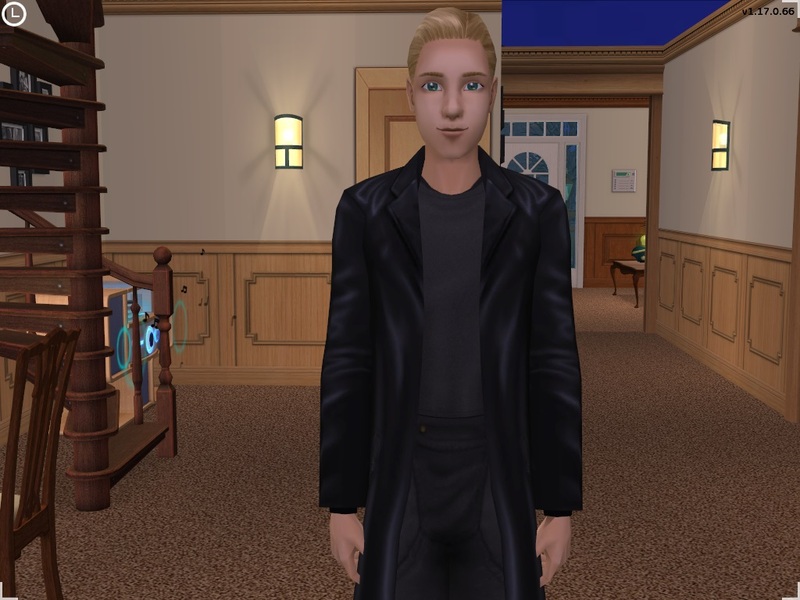 Starting with Gunther Goth, I really like what he grew up in so I am going to leave it for now. 2nd pic is Corneila on the left and Agnes on the right. 1st pic is Gunther Goth. 2nd pic is both Agnes and Corneila Crumplebottom. Agnes will marry one of the Tircou teens. 3rd pic is Frida Goth who will marry one of the Tircou teens. Played the Pleasant's first week. 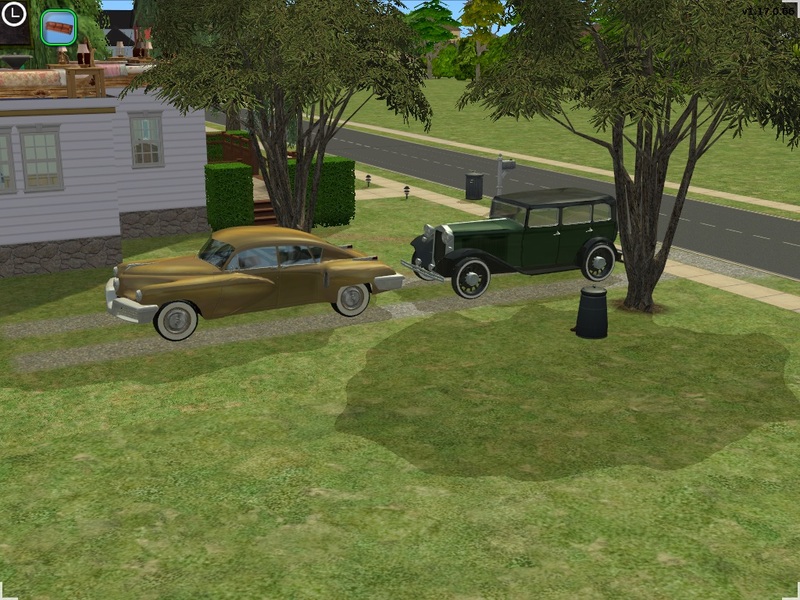 Note that I use Tarlia's fixed neighborhoods which got rid off the pre-scripted events. So Mary-Sue didn't get fired/demoted and is still blissfully unaware of Daniel's affair with the maid. Pictures under the spoiler - at least of Daniel and Mary-Sue; it seems like I've failed to take any photos of Angela or Lilith (not that anything interesting happened to them but still). Daniel and Mary-Sue rekindle their relationship. Actually this picture's lying. 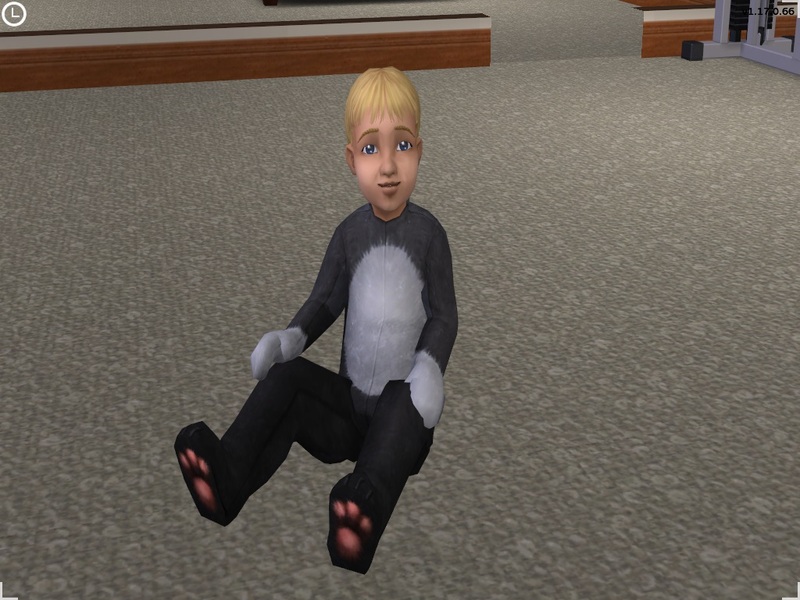 It was Mary-Sue who had the woohoo want not Daniel. Mary-Sue: "Great idea! Let's do it!" You can see by Mary-Sue's different outfit that a baby is on the way. Unfortunately we won't see it before their next rotation. Outtake from the Burb's week: Daniel, are you sure it's a good idea to invite both your wife and your mistress to an outing? That's just asking for trouble. #19 12th Sep 2016 at 10:21 PM Last edited by marka93 : 15th Sep 2016 at 2:48 PM. Added pics to post #15 of Bard Burb and Tiffany Marsh. Added Pic of Brian Marsh in post #15. Add a pic of Frida Goth in post #17. 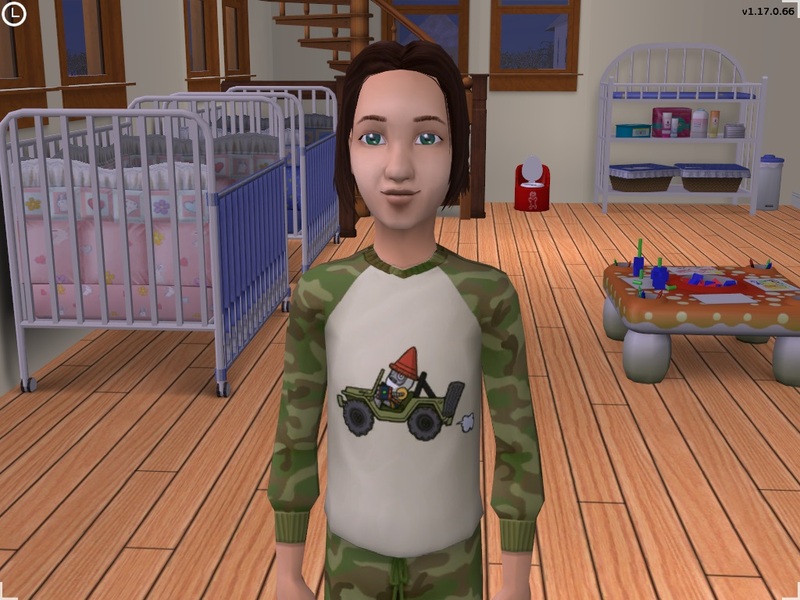 Since this is the last post I will use this one to upload pics of the Tricou sims that will marry the extra Pleasantview sims. To start it out with Don Kosmokos (aka Orion Teens) without the makeup he starts out with and he will marry Frida Goth. (I might change his last name to Tricou but I am not sure yet.) 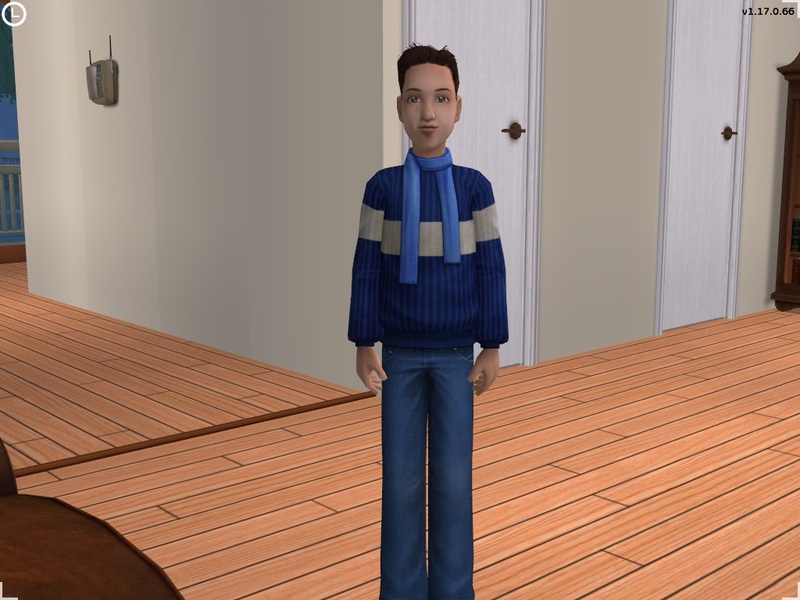 Update, I went ahead and changed his last name to Tricou and will also do it for the other male teens, the female Tricou teens will carry the last name of the extra Pleasantview sims. Some info, After both Frida and Agnes did the scope room they both went and flirted with there lover all by themselves so they told me who they wanted. This post is for the YA pics. 4th pic Graig Tricou (will marry Agnes Crumplebottom. Moving in. John immediately etablishes himself as a complete jerk by refusing to play with Lucy. Hrmpf! Bad move, John. See if I attemp to fullfil your LTW now. Lucy brings home Alexander Goth from school. They are the same age so that makes him the #1 candidate for her future spouse. Not exactly a rare pairing but there isn't much of a choice left if all playables are supposed to marry other playables. Alexander likes to hang out in her parents' bedroom. Soon after this picture was taken they shooed him out to have some private time. 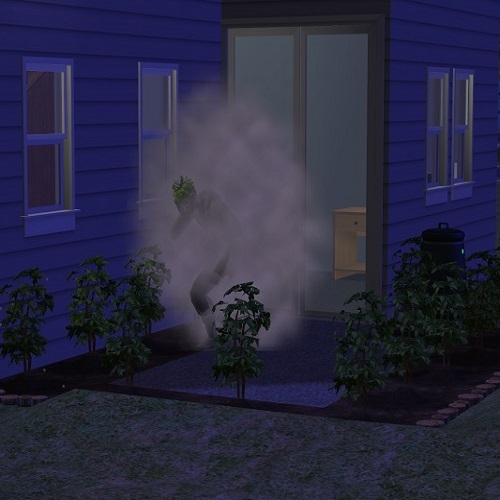 He left - and wandered back in before the woohoo-animation was even over. Another Burb is on the way. Lucy grew up. She shares her aspiration with John - and sadly also her LTW. Whyyyyyyyyyyyy? Lucy's totally faking it though - her relationship with her sister starts out negative. Lana and her daddy after Lana grew up to toddler. 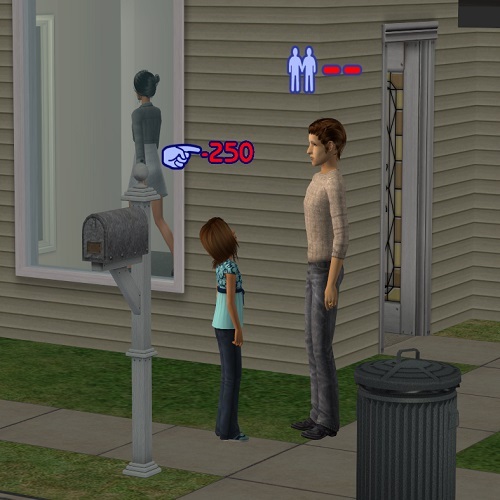 I'm currently planning to start a new game in Pleasantview, so I might try this - just one question though, are worldbuilder types who wouldn't touch "realism" with a ten foot plumb bob welcome here? Because that's definitely the way I play, I love creating different cultures and customs for my hoods and hate trying to recreate modern earthly life. If that's perfectly fine, I will quite happily join in and ramble on about my personal headcanon till the cowplants come home. 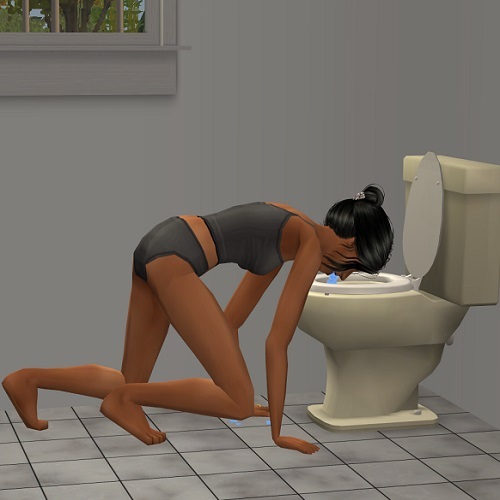 As usual Cassandra's wedding was a disaster. After that she decided to get a makeover and went on rebound, starting an impormtu relationship with Darren Dreamer (she even moved in with him and Dirk). Mortimer meanwhile caught Dinah in bed with Don and called off his own engagement to her. He then tried to romance Coral Oldie, but she wouldn't have any of it After that he pretty much gave up and committed himself to studying music instead, both on the piano and, strangely enough, the synthesizer. 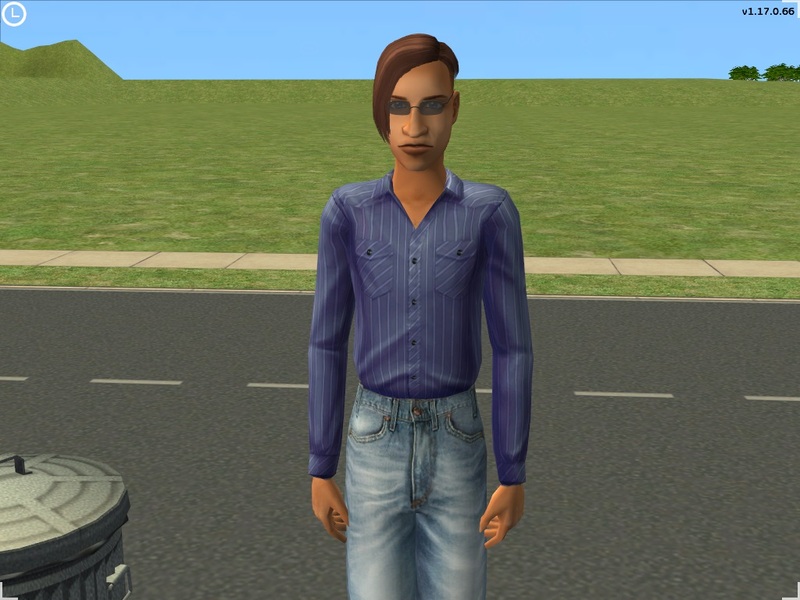 Alexander slowly came out of his shell after becoming a teen and is amassing a surprising amount of friends. 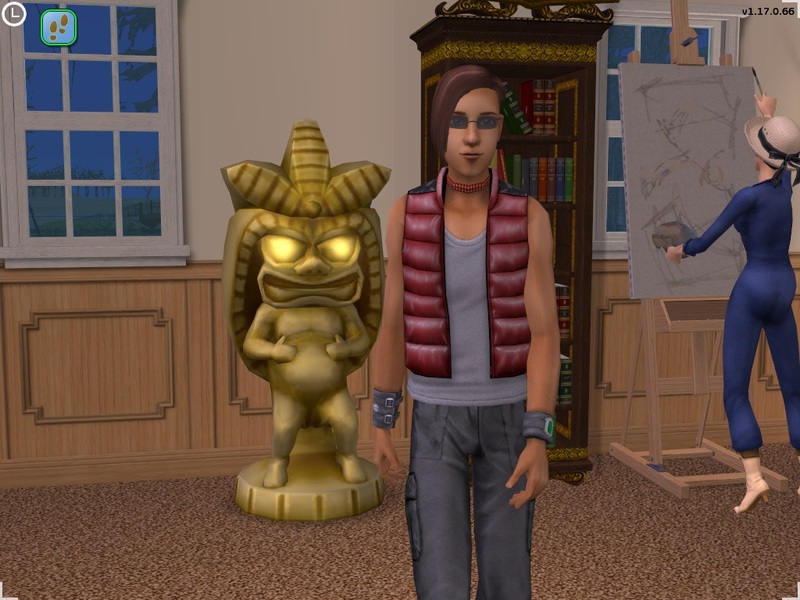 The biggest problem will be that I can't send him to university after Mortimer passes on without losing the Goth Manor, so he won't go. This was something completely new to me... never actually played the Oldies much before taking on this challenge. However, presented with the dilemma to find a way to preserve the family name I had them adopt a kid; a boy named Gerard. For now they all get along very well with each other, I just hope he'll age up into a teen before both Herb and Coral croak. Would moving him and Coral to live with Mary-Sue cause me to fail the challenge? John and Jennifer both started working at a law firm... then of course Jenn got pregnant and eventually gave birth to their second daughter (Vanessa). John is also cultivating a Garden, like his bio suggests. 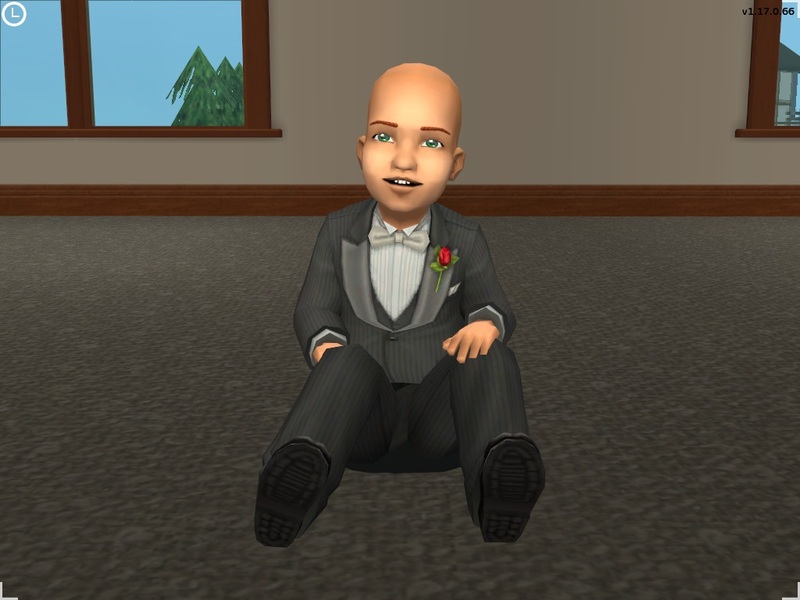 John's life-time wish is to graduate 3 children from uni...I might even fulfill it. 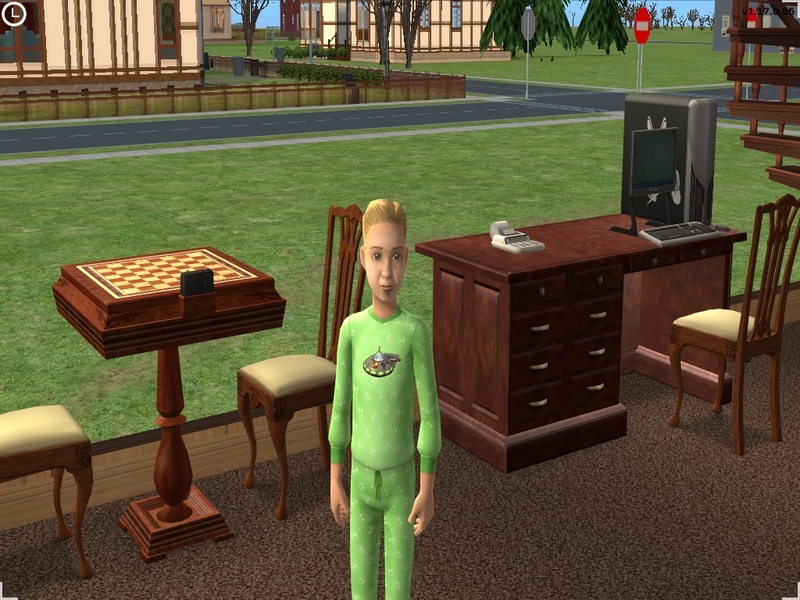 Cassandra moved in, married Darren and they had a son called Kent. 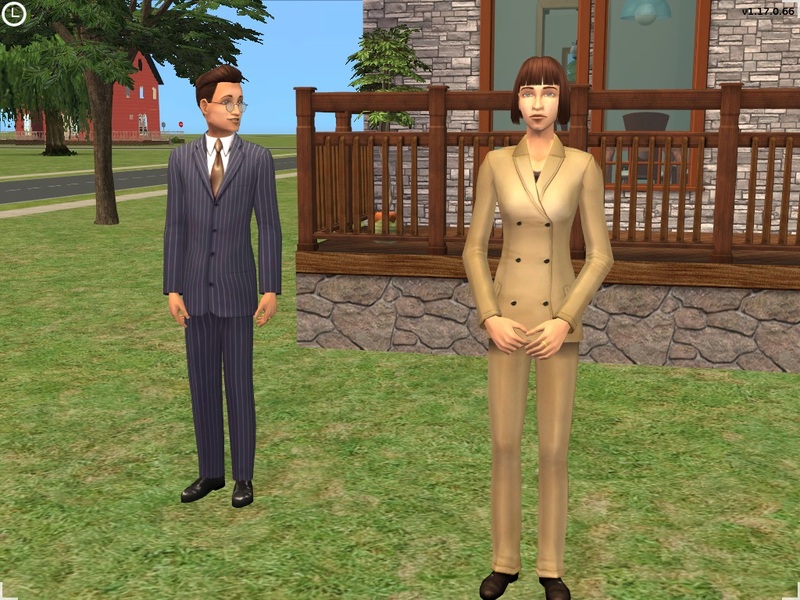 With Darren now actually being a successful painter and Mortimer presenting Cassandra with a generous sum for a wedding gift, they were able to expand their house considerably. 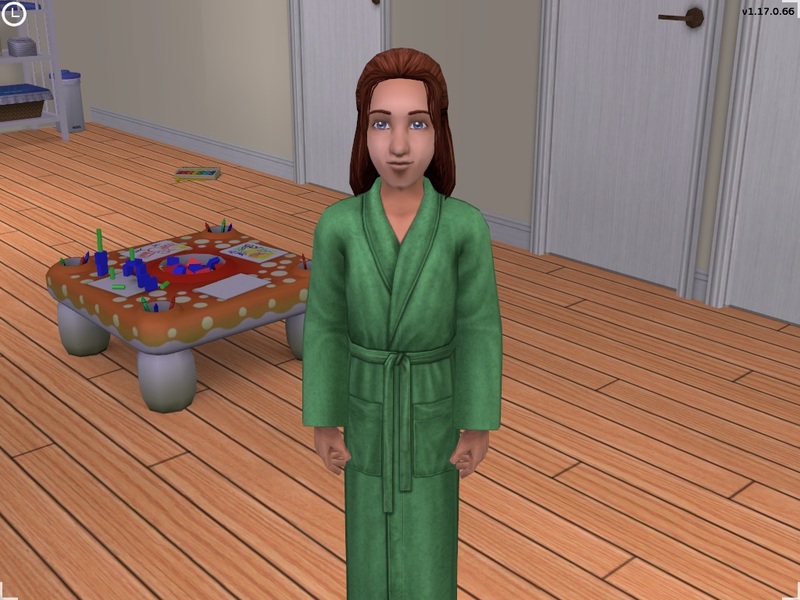 Cassandra is currently pregnant with their second child. Daniel and Kaylynn moved into a seedy condo, Kaylynn got a job as security guard and later gave birth to twin girls (Rose and Melissa-May) this is Daniels second set of twin girls, after Lilith and Angela Of course Daniel rekindled his relationship with Mary-Sue behind Katelynn's back and even got engaged to his ex-wife. Finally he revealed this to Kaylynn and they broke up. I'm planning to move Kaylynn and her girls into an apartment in downtown next rotation. While drunk at a party, Don ended up making out with Nina, right in front of Dina's and Kaylynn's eyes, he also ended up knocking her up. Him being traditional like that he insisted that Nina would marry him so that their child would have his last name. It ended up a son named Ron. 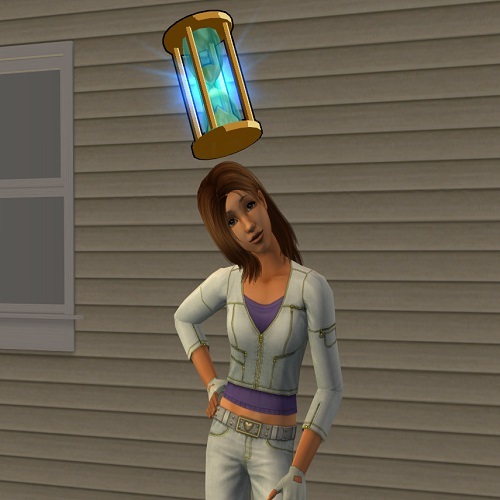 Meanwhile, Dina, realizing that nobody was going to just give her a life of luxury smartened up and started working in the Architecture career, as far as continuing her family name I have plans for her, she'll be one of the Sims I will put into unusual pairings I haven't tried before. But that's still a while off, I hope she'll have a desk job by then. @nuidyaforever anything goes as long as you keep the last name going. @Orphalesion you can merge households all you want with no problem. @marka93 that's good to know, I'll start playing tomorrow and hopefully I should have a few stories to share soon!